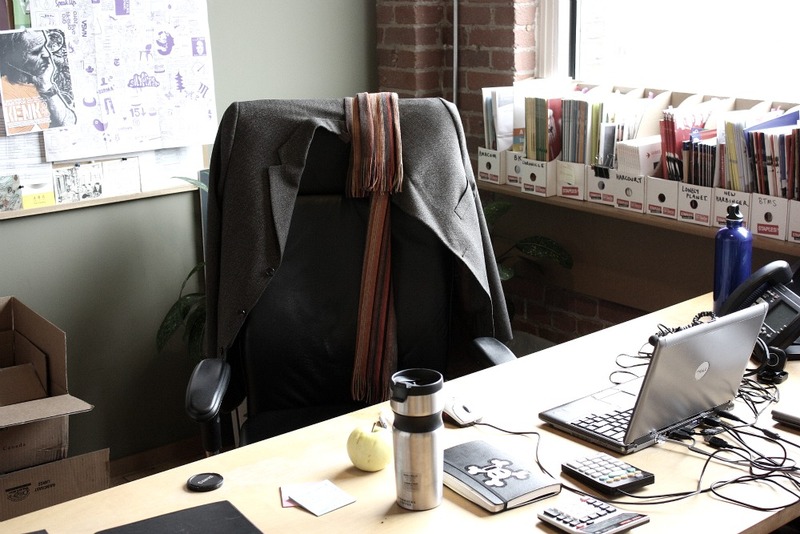 “My desk is in the office of Publishers Group Canada in Toronto. PGC is a division of Raincoast Books and we’re on the fourth floor of a brick office building in Little Italy opposite a Vespa store and dangerously close to independent music store Soundscapes. I have a great view south east across the city, and can see the enormous blue cube of Frank Gehry’s redesigned AGO, Will Alsop’s extension to OCAD, and the CN Tower. I sit facing two bookcases jammed with books. My desk is normally covered in scattered paper, books and post-it notes. I tidied it up somewhat before taking the photographs, but otherwise this is a pretty accurate, if unglamorous picture. Everyone always comments on how small my laptop is. The screen isn’t great for images, but it fits nicely into my satchel and weighs less than my previous machine. The notebook is one of the three or four Moleskines I have kicking around. This is an old one customized with a Paul Frank sticker. It’s stuffed with fascinating, arcane knowledge about the Raincoast inventory system I don’t seem to remember without it. 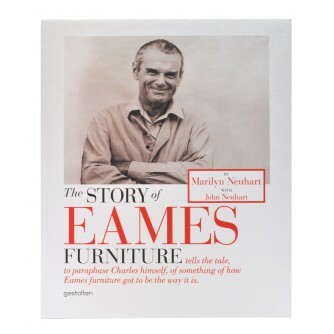 FROM YOUR DESKS: You’re an avid reader. From your The Casual Optimist, what are your top three recent fiction reads of the past six months? 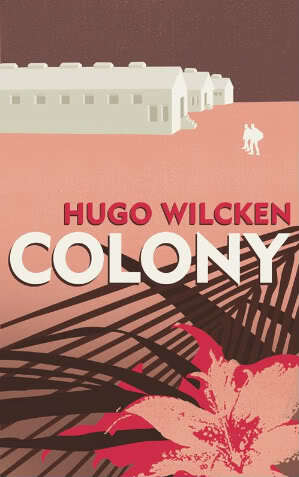 DAN WAGSTAFF: Colony by Hugo Wilcken is my favourite novel this year so far (it’s a couple of years old). It reads, at least in part, like a novel by Camus. I wonder if the title isn’t a reference to the hallucinatory Joy Division song Colony or (more likely) the Kafka short story In The Penal Colony that inspired it. I’d certainly like to think so. I liked C by Tom McCarthy and thought Lee Rourke’s Canal was good if somewhat self-conscious. Tove Jansson’s True Deceiver was great too. 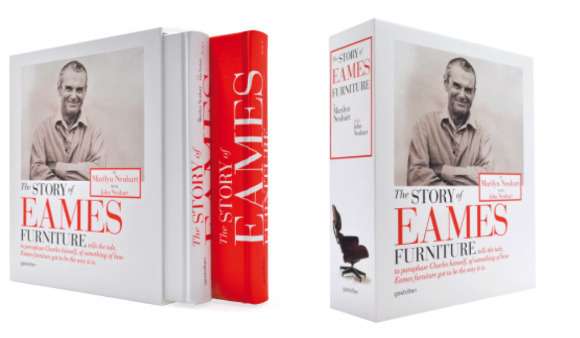 FYD: What about design books? FYD: The look of your The Casual Optimist is so clean. How do you edit yourself? DW: I wanted a design that was minimal and, on some fundamental level, functional, so it took me a long time to find something I was happy with. Ultimately, I thank my friend Ehren for suggesting Thesis. I like to keep things relatively unobtrusive and stick to the basics. 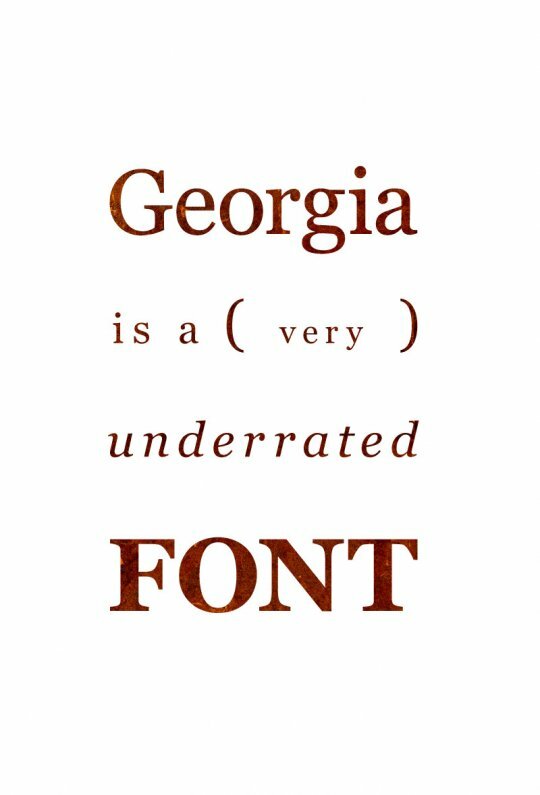 The main text is Georgia, the sans-serif in the side-column is Verdana. They’re too common to get much respect, but both were designed by Matthew Carter and both very practical. In terms of editing, time pressures keep things brief. I try to adhere to the principle ‘less is more’. When I write, I try to keep it simple. I like short sentences. Fewer words and less clutter make the blog a better read. I restrict myself to posting things I’m enthusiastic about and try not to post for the sake of posting. 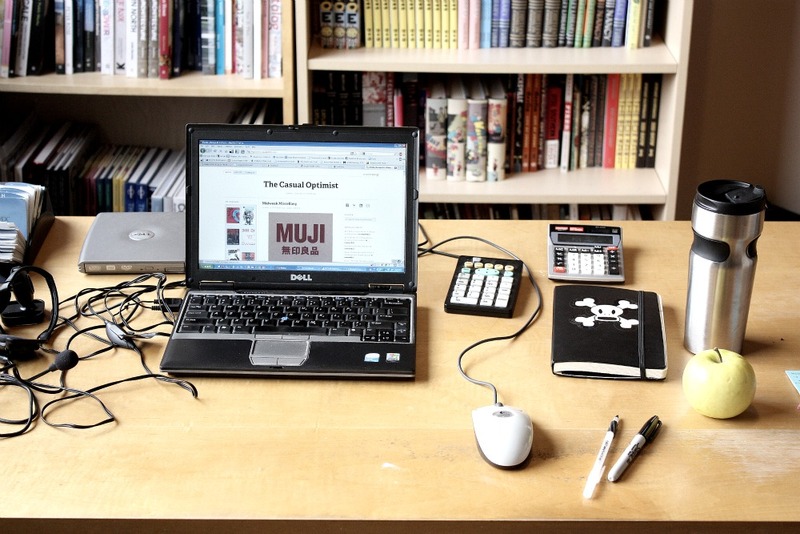 FYD: Does writing about books, design and typography keep you in the loop? DW: Definitely. It’s been a tumultuous couple of years in the book industry and maintaining the blog has been a good way to keep up with the latest developments. I’ve also met really generous, smart people—both in publishing and design—because of blogging. I feel very lucky that way. FYD: Do you ever check out books from the library? DW: Toronto has great public libraries (I read somewhere that we have the largest public library system in North America) and I borrow books, much to the amusement of some of my colleagues in publishing. It’s an amazing resource and I’m sure I’ve bought more books as result of my borrowing. I support my local Book City. Online, I buy from the Book Depository if I want something from the UK or a bit out of the ordinary. FYD: Is there enough time in life to finish every book you want? DW: No. But I intend to die trying. I’m very pleased you liked my book. And you’re right on both counts: the title comes from the Joy Division song, although the Kafka short story is most definitely an influence.